Architectural remains bring to a reflection on time and the reflection on time leads to memory value. 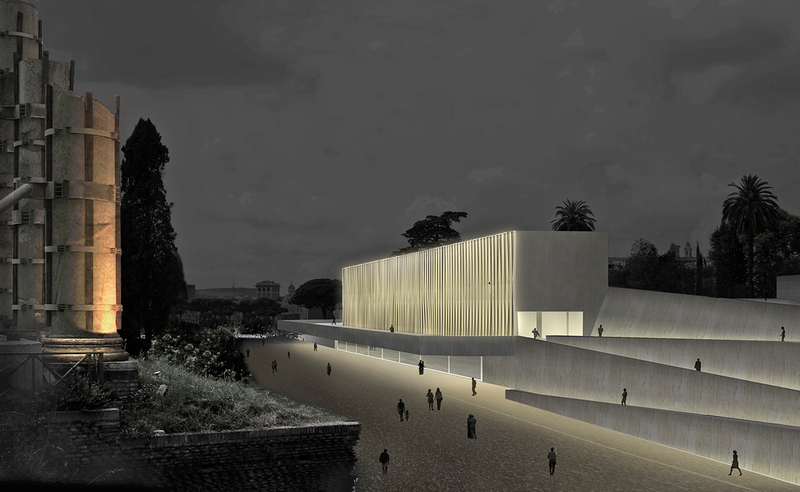 For every architecture period the new architecture necessarily has a confrontation with the old one so necessarily we must think in our proposal just as one more stage in time, not as a definitive stage. 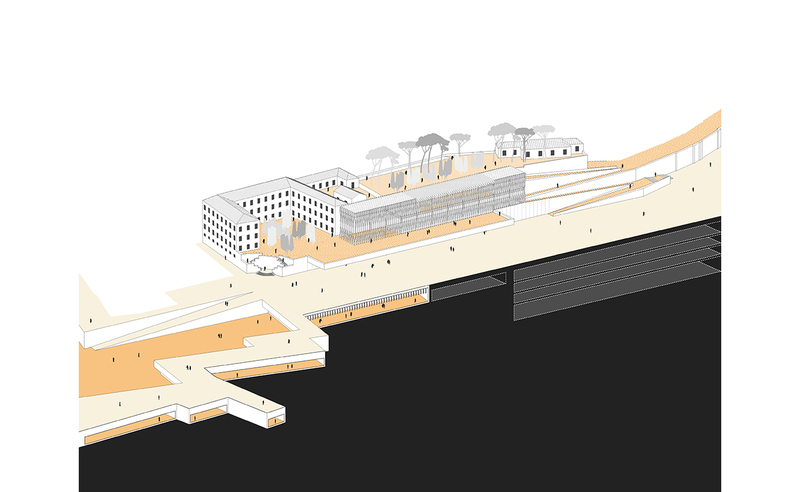 We rethink the actual area of Fori Imperiali, from an exclusively protected archaeological portion, to a part of the city that needs to be revitalised in an orderly way. 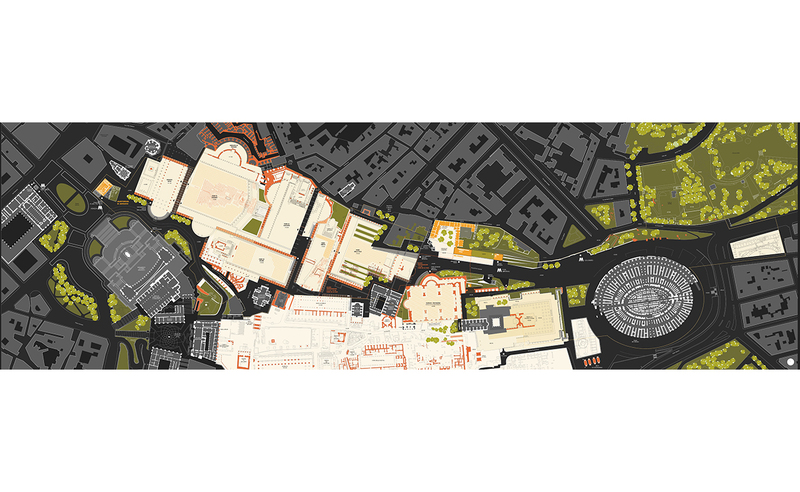 For this reason, the area is supposed to be brought back to its condition of urban portion, permeable to fluxes that come from the surrounding city. 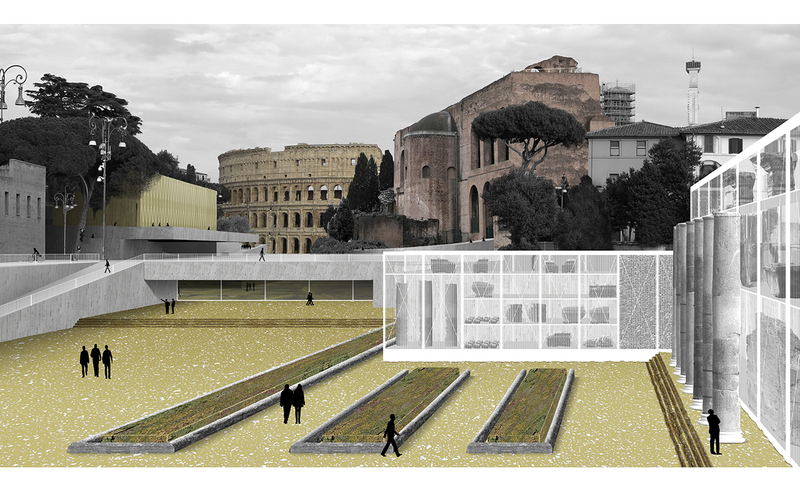 The entire archaeological level is imagined as a “stone garden”, no more enjoyed only visually from above, thanks to the recovery of the unitary character and the orthogonal geometry of the Forum, but also used in its own level. 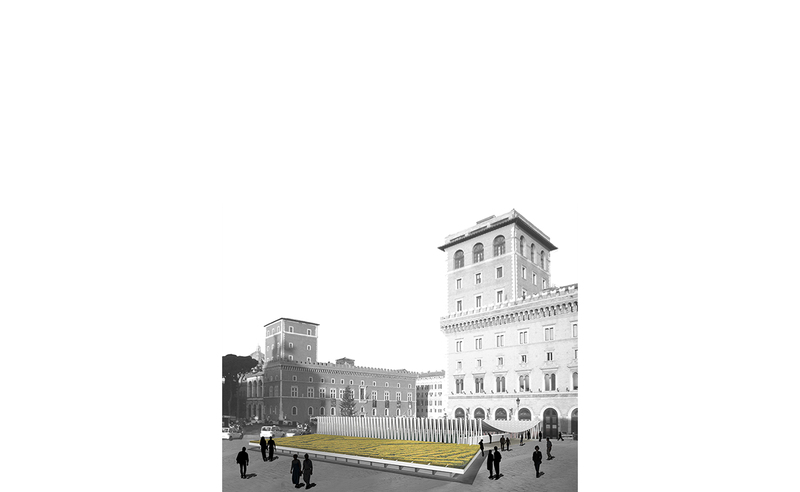 There is a continuity of the city in both levels where the visual connection between Piazza Venezia and the Colosseo is maintained, whereas a new Museum for the Forma Urbis recalls an original topography. 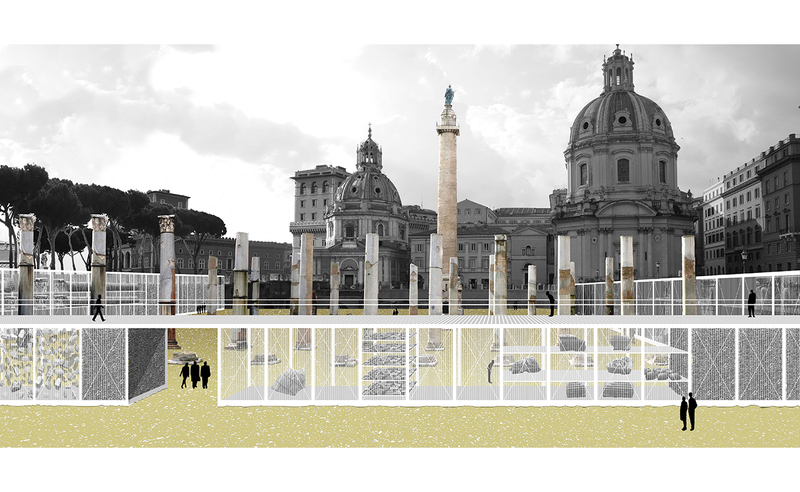 The archaeological fragments, now scattered, will be reallocated in light structures that redefine the plan of each Forum.